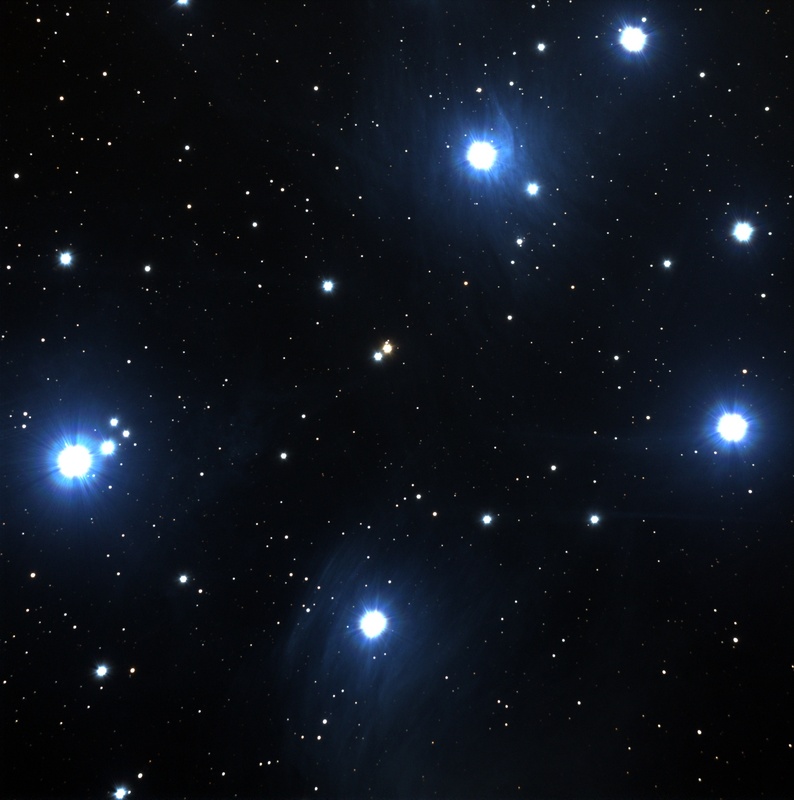 This image includes 5 of the 6 brightest stars in the well-known Pleiades cluster: Alcyone (left), Merope (bottom), Electra (right), Maia (near top), and Taygeta (extreme upper-right). 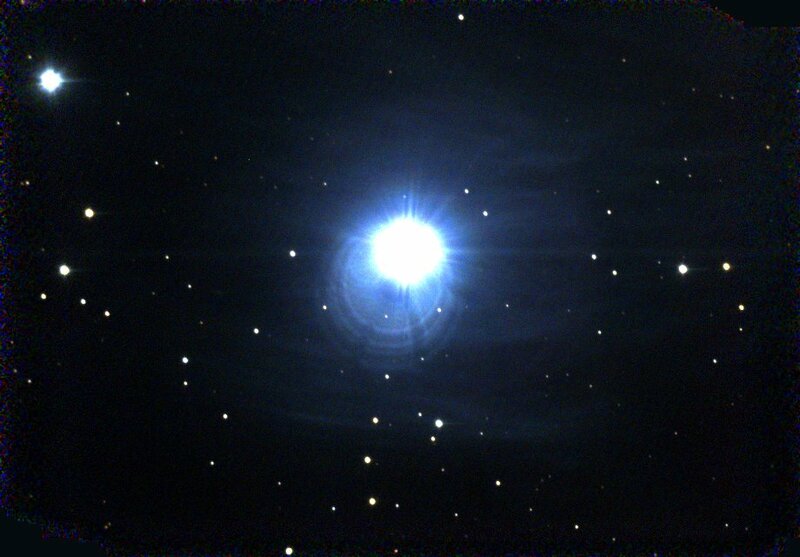 Visually, some of the reflection nebula can be seen as a faint haze, but it is difficult to distinguish it from the scattering one might expect from dirt or condensation on the optics. Here, the reflection nebula has the appearance of cirrus clouds, with a fine texture and long streaks traveling in several directions. This is an image of the region surrounding Merope, one of the brighter stars of the Pleiades cluster. The faint streaks resembling cirrus clouds are due to light from Merope reflected by dust. The circular feature near the star is an optical artifact, not part of the nebula.